So many people are quick to pronounce email marketing as "dead". But particularly for companies in the B2B technology space, we’re happy to report that email is, in fact, alive and well. It’s still just as valuable for technology and software companies as it was five (or even 10) years ago, and tech companies know it: they’re using email marketing more than any other type of business. That’s a good thing, because using email to distribute content, inform your prospects and customers about product updates, and create new connections is a surefire way to nurture leads through your pipeline—if you’re doing it right. Here, we've collected five compelling pieces of email marketing insight to show you why tech companies who continue to leverage email might be onto something (and what your own technology and SaaS company can learn from their expertise). In a foray against the whole “GDPR will kill email” rumor that began circulating when new privacy laws went into effect in the EU in 2018, Kath Pay and Tim Watson dove deep into why email is still surviving and thriving after all this time. It’s outlasted other forms of communication—and still works well as a marketing tool—because it’s a requirement of being on the Internet. Everyone has an email address. No one really "owns" it. It’s fast, it’s flexible, and has a gigantic infrastructure that’s virtually impossible to replace. It’s the biggest social media network, and therefore, the best means of connection out there. Flowery language, exaggeration, and exclamation points might not be your thing—and that’s great! Why? According to research conducted by Mailchimp, if your goal is to improve your email open rates, being straightforward works best. An over-the-top sales pitch about what’s inside the message is going to make your leads feel like they're being sold to. And that’s exactly the opposite of how you want your customers to feel. Lesson Learned: It's still okay to be a little clever with subject lines. But just be sure to tell your recipients what the message contains. When you’re leads are qualified, they’ll likely be more interested in clicking on your emails anyway. If your previous emails have already demonstrated quality, you don’t need to serve up clickbait to get clicks. Inside SaaS Sales isn’t a person: it’s an archive from Process Street that provides thousands of SaaS emails from some of the most successful SaaS sales teams out there right now. After signing up with a fictional Vodafone employee to 280 sales teams’ email lists, Process Street collected nearly 2,000 data points to discover how these tech companies sell so well—and they put it online for all of us to see. These sales teams leveraged email drip campaigns that were usually only three emails long, and their sales cycles were an average of just nine days long (unqualified leads were let go after that). So if you’re still emailing someone who signed up to receive a white paper three months ago, it might be time to release them. Lesson Learned: Let go of contacts that are no longer engaged with your email campaigns. It’s always hard to say goodbye, but it will be best for both of you. After all, you don't want to ruin your email sender reputation by constantly sending out graymail. Your customers might not be as finicky as the common opinion suggests. Research, despite email’s annual “death,” is constantly pointing out that no, people actually don’t mind being emailed, and yes, they do read the emails they get. But the key point is: they’ll only read them as long as they’re helpful, engaging and targeted. So if you’re blasting a brand new lead at the top-of-the-funnel with emails about your solution, or you’re taking random emails that have filled out a form on your website and adding them to every email list you have, you’re doing it wrong. Lesson Learned: Your leads want emails that matter to them. Consider creating an opt-in option at the various conversion points on your website. This way, you know that the people you’re emailing actually want to hear from you—and what better reason to keep them engaged than that? Your most valuable prospect is the one you've already sold to. Your customers have downloaded your software, they’re using your product, and they have valuable insight. Not only can they help you improve on your product and processes but they're also perfectly positioned to engage with your business even more. You already have them in your database, so don’t forget about them! Send them updates and renewal discounts, emails that upsell other products or tools, or personalized messages that say “We noticed you use this feature heavily... here are a few tips.” Let them know you’re there to help them. Lesson Learned: An existing customer can be your best advocate. Don’t forget about them, and make sure they don’t forget about you! Email marketing is, despite the rumors, still an excellent way of communicating with prospects and customers. Do you want more tips to make your email campaigns shine? Subscribe to our blog and get updates on the latest trends in marketing, engagement, and more! 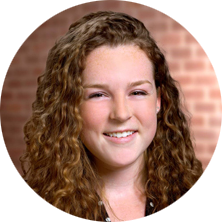 Madeleine LaPlante-Dube joined PMG as a Content Marketer in June 2017 after spending the summer of 2016 as an intern. She loves to write about emerging trends in content – video, podcasting, interactive webpages. When she’s not crafting compelling content and scheduling savvy social, she’s creeping on the outliers in the industry – seeing how leaders are doing things differently and figuring out how she can help readers learn from them.